I survived.....100 days in first grade. Today was the big day! A day when we stray from our usual routine for celebration and chaos! I'm just about spent after staying up ever so late in preparation of the big day and then going through the whirlwind of events that were today. Last night I slaved away on this little celebratory banner. Made our 100th Day Hats! 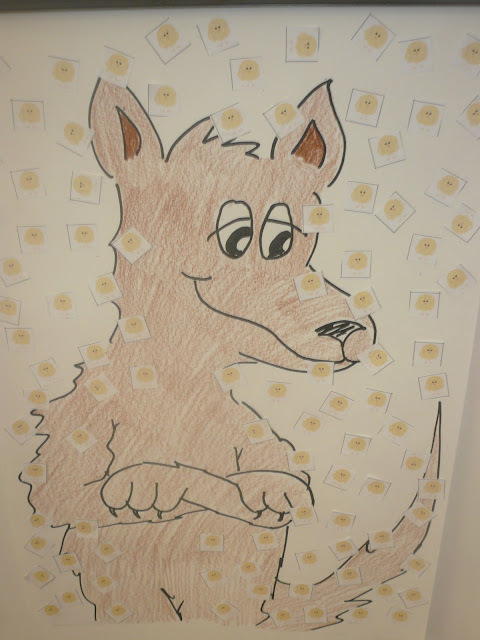 We counted by 10's until we had 100 chicks giving the wolf from the Wolf's Chicken Stew 100 kisses. My cute little teaching partner made 100 cookies for the first grade. YUM! We searched for 100 hidden chicks and put them in rows of 10 until we knew we had them all. 10 groups of 10 make Froot Loop BLING! Ended our day with 100 day trail mix. Sugar them up and send the home. I even got some 100th day gifts. Yippee for me! How much do I love FLAIR pens? Another parent bought me this bee-u-tifal Pashmina! I hope you had or will have an equally awesome day! P.S. To top it all off this blog is being featured on Teachingheart.net! Congratulations on surviving 100 days and celebrating!!! Lucky students to have a teacher give so much effort to making a special memory! Congratulations on the Teaching Heart honor as well! Yeah to both of us! Just found your blog-love it! LOVE your 100th day motto. Ha! Looks like you guys had a great celebration! Thanks for sharing! Our 100th day was Monday...but I had strep. Boo! They only had a half day due to weather, and we've been off ever since! Hope you enjoyed your 100th day -- I'm jealous! So much fun! I was wondering where I could find directions for those super cute 100th day portraits? I think I have seen them somewhere else, but I can't seem to find them! 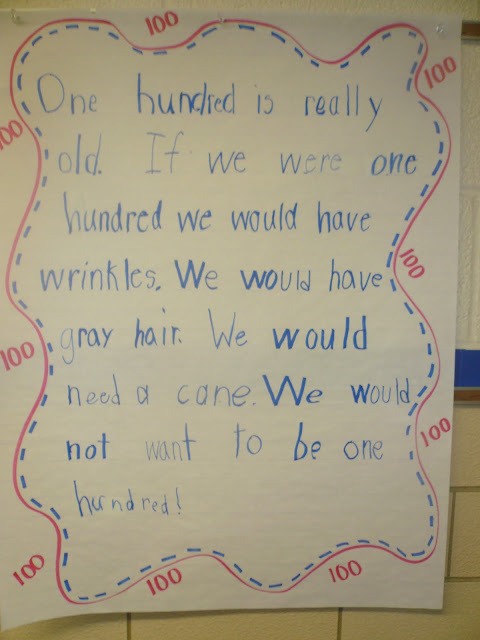 I want to make them will my kiddos on our 100th day...this Thursday!